the chaos: Color Line Design gets their party on!!!! Color Line Design gets their party on!!!! Yay! 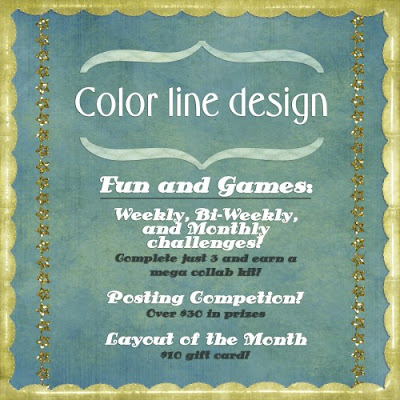 There are a lot of exciting things going on at Color Line Design! Lots of challenges, games, and prizes... It is now one of my favorite digital scrapbooking sites! Everyone is so super friendly...so if your looking for a supportive fun atmosphere...I'll see you there! I so need to join in more! hate being strapped for time! Contest at Chirpi!!!! Only a few days left!